Savvy Spending: Amazon: San Francisco Bay French Roast 80 ct K Cups for just $22.71 shipped! 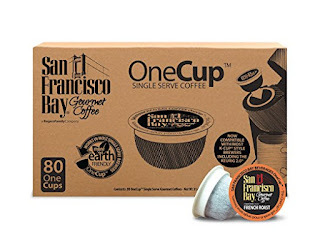 Amazon: San Francisco Bay French Roast 80 ct K Cups for just $22.71 shipped! Amazon has the San Francisco Bay French Roast 80 Count K-Cups for only $22.71 shipped when you opt to Subscribe & Save. That makes each K Cup only 28¢ shipped!